As mid August approaches high school seniors should already have a good idea on what type of school they want to attend. Now is the time to start planning those exhilarating visits and getting ready for the next chapter of your life. 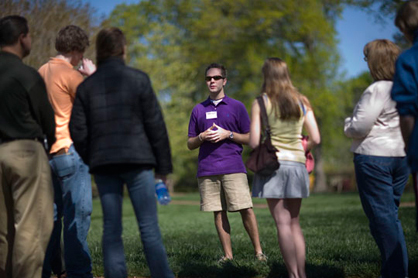 Your first college tour can be a mix of emotions. It may seem intimidating walking across campus when everyone knows you're still in high school, but don't be scared. Every single student has been in the position you're in and some of them probably wish they were you. 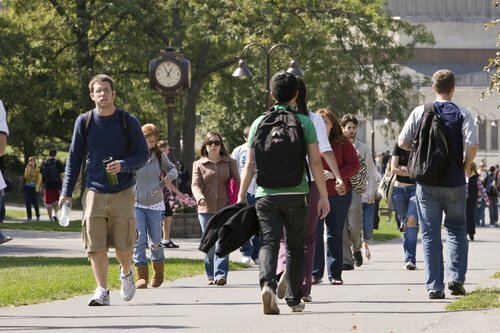 What types of programs does the college offer? How easy it to switch majors? What are some types of clubs and activities on campus? What specifically are their favorite things about the school? Now one thing you must understand is that these tour guides do not know everything. They are simply just trained students doing this to earn money. So, be sure to set-up meetings with faculty or advisers to ask specific questions concerning graduation rates, job placement, financial aid, specific courses or majors, etc. Of course talking with students and faculty is important but make sure you are made aware of your surroundings on the tour. Explore the campus and see what is has to offer. Visit the dorms, cafeterias, student unions, classrooms, etc. Imagine yourself in the shoes of the by standing students and feel if it's right for you. This next tip is extremely important. If you attend a tour with your high school friends do not in anyway let their thinking deter you. Meaning, if you really enjoyed a portion of the school but they did not, don't change your opinions to satisfy theirs. People see and think differently and that is perfectly okay. You shouldn't base your college choice on where all your friends are going anyways, it should be what is the best fit for you personally. Although your parents may know best for you, don't let them shut you down on a school you love as well. It may seem like going for a tour on the weekend or in the summer would be easiest, but we definitely don't recommend it. Of course there will still be people, but there's no more real experience than seeing a college while class is in session. Take a morning off school with your parents and go visit the school during the week. It's the only way to see a university in it's natural setting. High school teachers are mostly understanding when it comes to this and consider it an excused absence. Also, do not let horrible tour guides crush your dream school. As mentioned above, they are simply students paid essentially minimum wage just trying to make a little extra money. If you fell in love with the school on paper but didn't have a great experience it is definitely recommended to request another tour. As a matter of fact, before choosing which school you are going to attend it should be an absolute minimum of two trips. Application deadlines are usually in December but that does not mean you have to make a decision quite yet. Overall, enjoy the tour experience and what is has to offer but do not forget to enjoy that last year of high school because before you know it it'll be over.